Almost every Aussie runner who has ever done a marathon knows about the Six Foot Track. Running 45km with a river-crossing two very beasty climbs from historic Explorer’s Tree at the top of Nellie’s Glen through the gorgeous eucalypt forests of the Blue Mountains to Jenolan Caves, Six Foot is probably the one trail marathon that most Sydney road runners will try to do at least once in their life. With the popularity of the race now so high that the 850 entry slots sell out in literally minutes, for the first time in 2017 — the 33rd running of the race — entry has been switched to a lottery system. This has meant that starting positions weren’t allocated only to those who have already done the race multiple times or who were able to be at their keyboard and ready to go as the clock ticked over to 9am one arbitrary morning. Training camp coach and Olympian Ben St Lawrence, going faster than any of us did on the weekend. 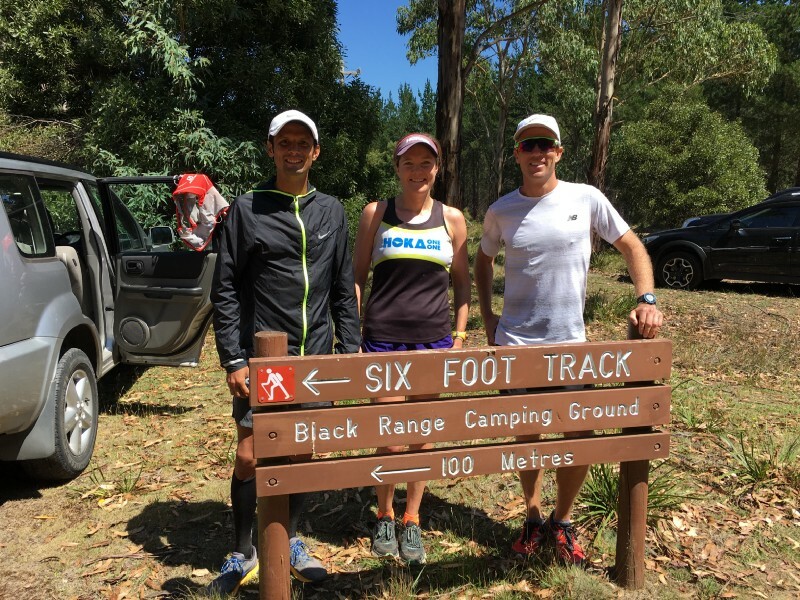 As the official running shoe partner for Six Foot Track, it was great to be actively involved in the official training camp over the weekend. The leadership group featured New Balance athlete and Olympian Ben St. Lawrence, Ben’s fellow Run Crew coach Dave Byrne, HOKA ONE ONE athlete Jess Baker, 2016 winner Tom Do Canto and myself. 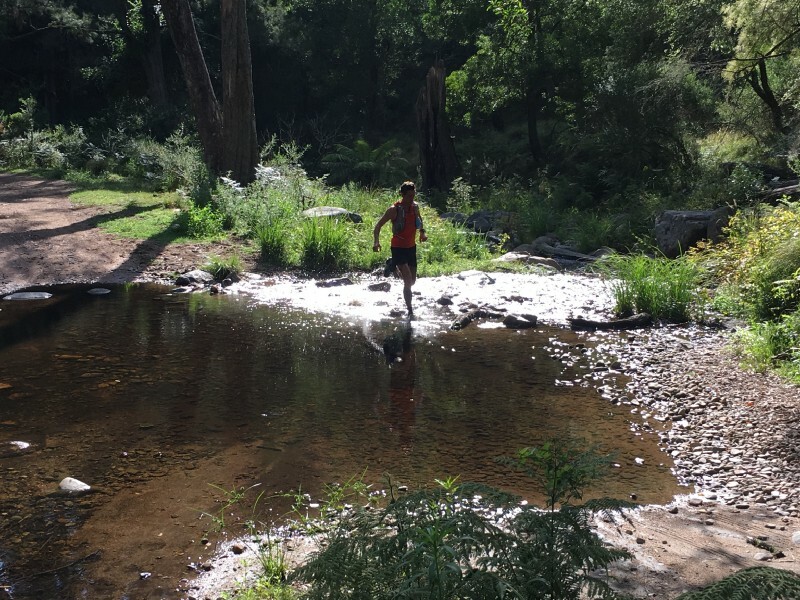 Based on his experience of previous years, Ben arranged a schedule that featured knowledge, relaxed discussion, and a moderate effort on the Saturday, with the focus on a Sunday long run on the back section of the course. 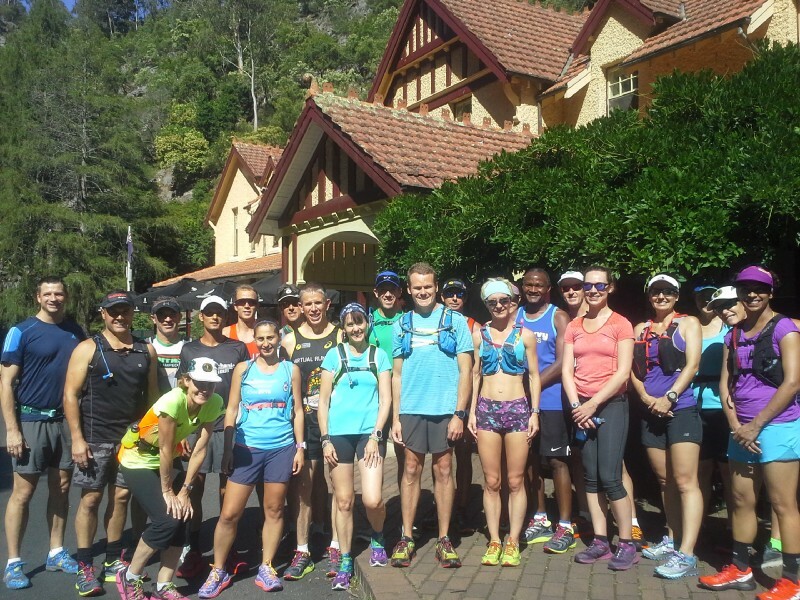 Based in one of the conference rooms at historic Jenolan Caves House the group of 20 runners each introduced themselves and their aspirations for the event. 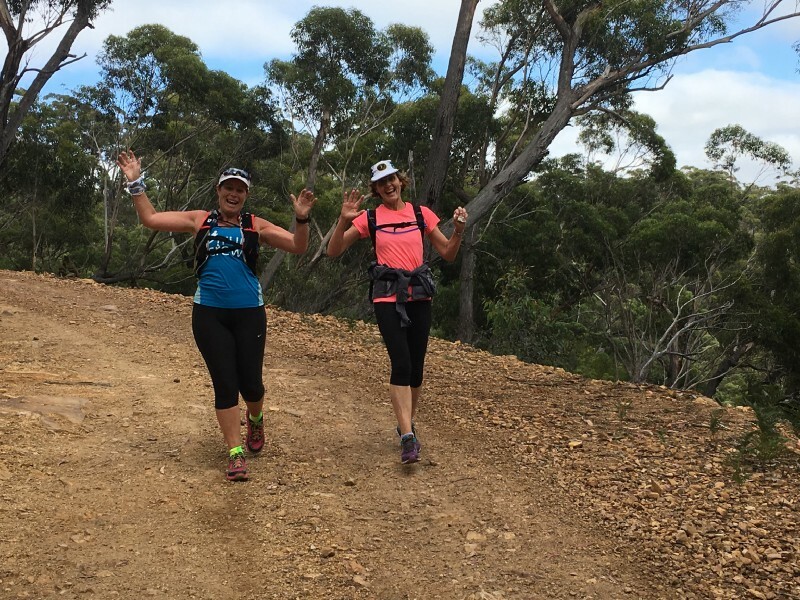 These literally ranged from just wanting to learn some basic trail running techniques and simply finishing this audacious 45km race in March, to wanting to stick their flag in the podium on race day. Coach & previous Six Foot winner Dave Byrne ran through the course profile in detail, breaking the race down into sections for the group in what was one of the most valuable presentations of the weekend. The leadership group also talked more about trail racing and endurance running strategies generally, as Dave highlighted the parts of the course where people would most likely do themselves a mischief if they weren’t in the right mindset, or even throw their race away with 40km still to go. 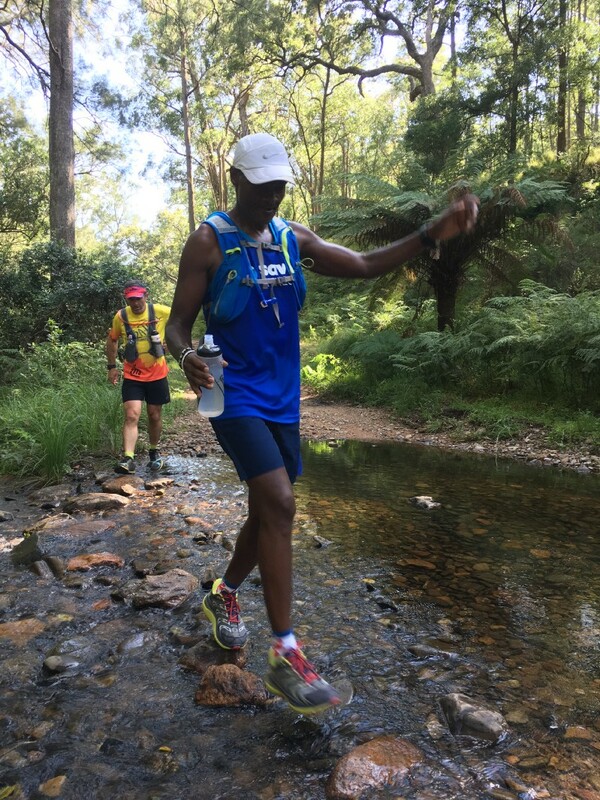 As well as being one of the country’s best young runners, the next presenter Tom Do Canto is also an exceptionally well liked and respected podiatrist, based at the successful Walker Street practice in North Sydney. He quickly ran the group through a number of functional strength and mobility drills for runners wanting to get the best from their feet and hips. With Tailwind Nutrition Australia as the official sports drink for race day, we then quickly presented our reasons for using this particular sports carb-electrolyte in long racing — namely digestibility, reliability, and simplicity. 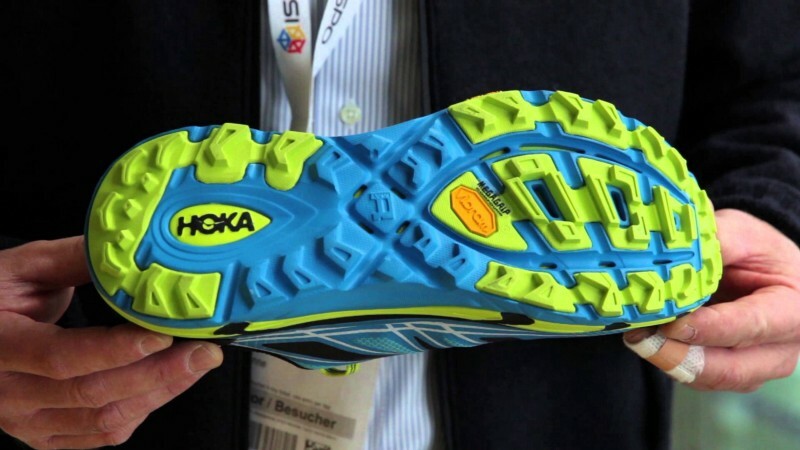 Next was a chance to present HOKA to the group and explain the 3 key reasons why our shoes are great for all levels of running — namely impact reduction through superlight foams, oversize platforms with deep cradles for inherent stability, and efficient motion through strategically engineered rocker profiles coupled with low heel-toe differentials. If you are doing a long trail race, or a trail race with water crossings that guarantee your shoes will get wet, this — in brief — is the rundown on which 2017 HOKA trail shoe will suit you best. The group asked for this, so hopefully it’s helpful to other runners out there. Speed Instinct — 3mm drop, a nimble feeling shoe that locks down on to the foot more than any other HOKA, with a strategically soft heel for descending and a firmer horseshoe around the forefoot for responsive climbing. Perfect for the runner who wants some cushion but not the full marshmellow. Challenger 3 — the trail adaptation of our most popular road shoe, the Clifton. In 2017, this shoe will be winning awards. A broader fit and better footshape than the previous model, with a softer but more abrasion resistant upper, smoother and more stable ride, as well as higher rebound and greater durability, plus very good water-shedding make this a great option. Clayton — this is an award-winning superlight and fast road shoe, but the RMAT outsole means that in addition to a fast ride, these broader-fitting speedsters grip wet and mixed terrain beautifully. Using the Pro2Lite platform, they’re cushioned for fast downhill and more responsive for long runs uphill. They also drain very quickly, and deliver a great alternative for road runners who do a bit of racing on fire trail and buffed out single track. Speedgoat — with European heritage, the first version of the Speedgoat has a fit that is on the narrow side of standard, but this shoe was also a major hit for most runners who wear tested them at the training camp, with some putting more than 40km into brand new shoes over the weekend and loving them. Highlights of the Speedgoat on Six Foot Track were the lighter cushioning, the confidence-inspiring Vibram Megagrip outsole, and how quickly these shoes drained with their highly breathable mesh upper. It’s a fast grippy shoe that loves wet steep rock as much as it loves packed dirt, deep clay and mud. Mafate Speed 2 — these will be arriving in Australia for the first time very soon. Key advantages are superlight industrial-strength protection for heavier or longer runners, pronation resistance for runners who collapse medially when they begin to fatigue, a deep and roomy toebox with a relatively broad fit, and deep, grippy Vibram outsole that will handle all terrain, wet, dry, or steep. Stinson 3 ATR — because you want as much help as you can get. What the Stinson lacks in quick drainage and breathability, it makes up for in total bombproofness and providing the biggest fastest-rolling chunk of foam underfoot ever. Ever. For the late afternoon run, we went out and back on the descent into Jenolan Caves. While the climb out was a bit intimidating, the return descent was surprisingly sharp for runners who hadn’t been to this back part of the course before. 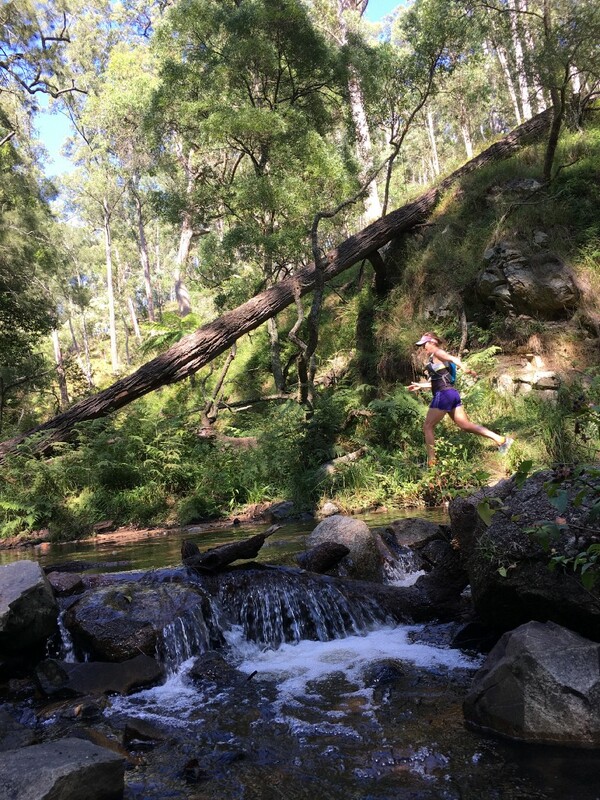 One runner, Alya, who had previously felt that downhill running was her weakness, got into perfect sync with the roll of the trail and bagged herself a STRAVA segment win. Dinner was a delicious buffet of fresh salads, pasta, freshly roasted meats, and healthy desserts… Cheesecake is healthy, right? Then beverages were had and the group talked into the evening. Ben St Lawrence had felt that conversation and relaxed settings like this were key to transfer of knowledge and experience as this was what he himself had seen happen in previous camps that he’d been part of. And he was right. Runners who had come to this weekend as self-declared trail novices were already lighting up in talk about the day as though their first run on the gnarliest downhill on Six Foot had already put a lot of their fears to rest. 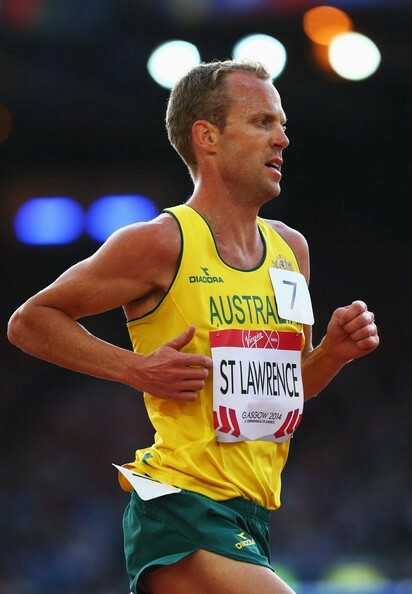 We also got Ben to tell us about his experiences in Rio and India, racing for Australia against the best 10,000 metre athletes in the world, and the day that he ran the Australian Record, a blistering 27.24.95 with a negative split. I’ve heard runners say that they don’t like training groups and coaches because of the sense of elitism they feel when they attend. But a standout of all of the coaches — winners, recordholders, Olympian even — was an air of absolute humility, a passion for the challenge and a real sense of caring about everyone taking on this audacious challenge. In each case, Ben, Dave, Tom, and Jess had to be prompted to talk about any of their achievements, and when they did it was in a pragmatic and practical way. Runners who think they’re pretty good could learn a lot from these athletes, both in approach and manner. With all of the international travellers and guests at Caves House, it wasn’t totally surprising but it was very cool that a random backpacker came up to Ben and said “Ben St Lawrence? You’re a legend mate”, especially when Ben and many of his Olympic level peers can walk down any street in Australia without being recognized. The next day was an early start for the long run. Driving to the Black Range Camping Ground, a starting point about 12km from the finish, the group set out with goals grounded in time or distance. The American runner, Kevin, ended up being out the longest with his mate Graham Laws from Terrigal Trotters. They both got full value for money, running close to 4 ½ hours on some relentlessy rolling and often steep terrain. Gemma, from the Sydney Run Crew group undertook the longest and close to fastest run, knocking out 38km in just over 3:20. We all agreed she’ll be a contender on race day. Always one more creek to cross. Hard earned, lunch was much appreciated as conversation turned to reflection and race day. 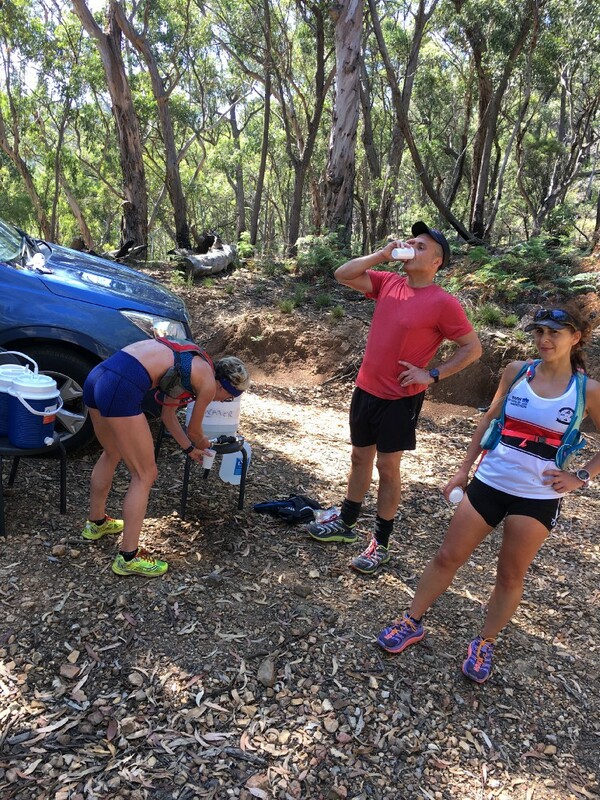 The most evident thing that everyone seemed to get from the weekend was a sense of informed confidence, and a greater sense of just how they’ll need to prepare (and pace) themselves for race day. Massive thanks to John Bowe and David Bray and Sydney Striders for their work behind the scenes in making the training weekend happen, and as always a shout-out to the race day volunteers and the super-friendly and helpful staff (especially Trish) at Caves House for making Six Foot possible.